Sport is one of the few activities capable of breaking down any border. The practice of exercise can unite under the same passion people who have little to do with each other. This is the case of paddle. The sport of the shovel continues with its rapid expansion and the paddle fever increasingly spreads to more countries. From north to south, from east to west; South America, Europe, Asia or Africa ... few places exist in the world that have not yet been encouraged to practice this fun sport. 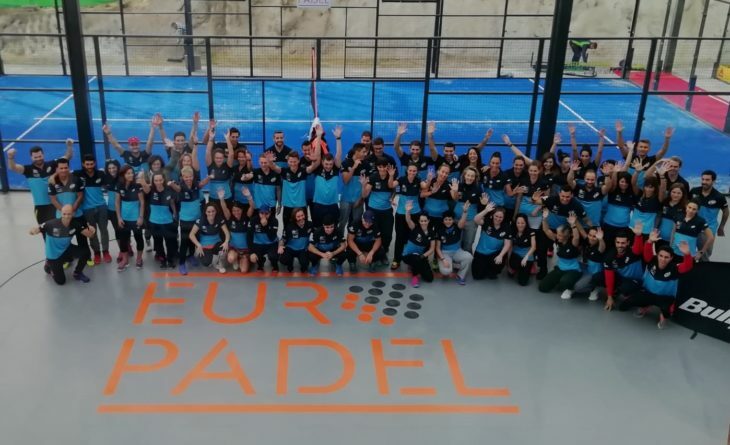 The International Padel Experience by Madison is one of the best examples of the phenomenon in which padel is becoming. Each year, more than three thousand players of different nationalities, cultures and languages ​​come together in the different venues of the circuit to practice their favorite activity. Last season, the best international amateur paddle circuit was present in sixteen different countries, a number that will continue to grow year after year to conquer the entire world. The last test of the season was the clear example of this multicultural union. The Final Master of Elvas united the champions of each of the cities through which the tournament passed. Dutch, Belgians, Greeks, Spaniards, Italians or Swedes met in Portugal in a weekend in which, under the language of the shovel and the balls, the paddle was the main protagonist. The year 2019 promises to be a year of growth, with more venues, more countries and many more participants than in previous seasons. On this occasion, the circuit will travel to places as far away as Japan, Paraguay or Brazil. A trip that will last a whole year and in which we can discover new cultures and ways of seeing the world. The paleteros are already prepared and just need the adventure to begin to roll.